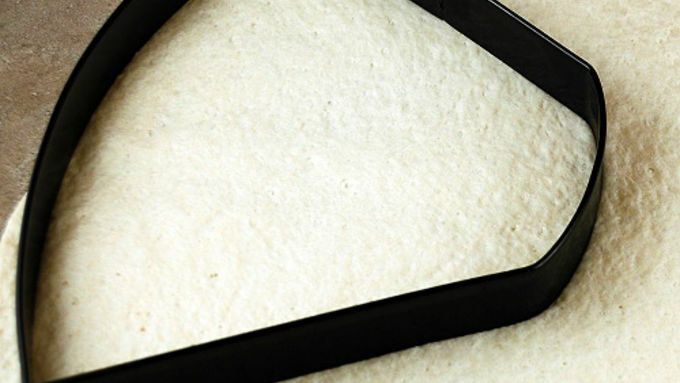 Roll it out so that it is large enough in surface area for the dough cutter to fit twice. After cutting the dough into shape, remove excess dough (Make bread sticks pieces out of leftover dough). 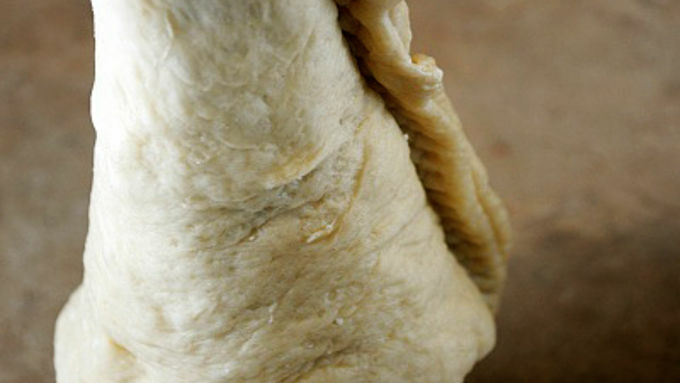 Moisten the edges of the dough with water and fold the dough over in half, so the edges meet. Press down on the seam with your fingers and then run the crimper along the edge to thoroughly seal the seam. Let the cones rest on the cutting board for 15 minutes. 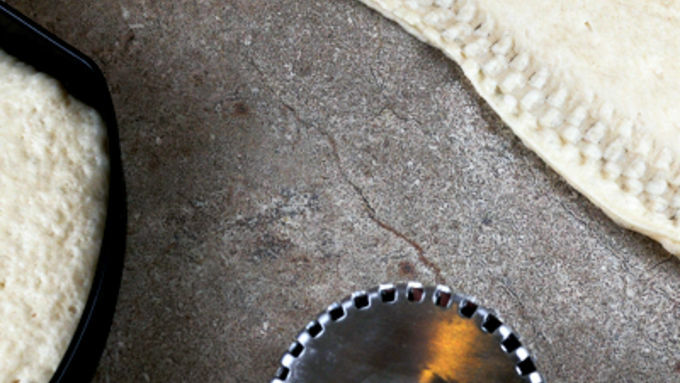 After the dough has rested, carefully slip the dough onto the pizza cone form. Bake for 6-7 minutes or until cone begins to brown. Place cone into pizza cone stand. Fill with your favorite pizza ingredients. 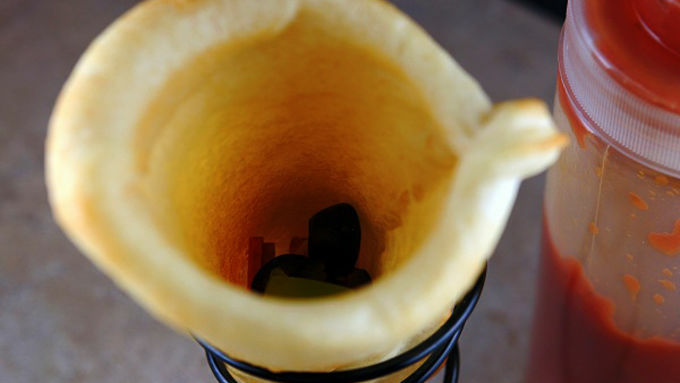 Return the cones to the oven and bake until golden bubbly. Let baked pizza cones cool for a few minutes and enjoy! Pizza in a cone? I'm all over it! I love to eat food on a stick because it’s fun. I love to eat ice cream in a cone vs. a bowl because it’s more fun. So when I saw that I could turn my pizza in to a cone - I was all over that! I knew the kids would think it was a cool thing to do and was I ever right! 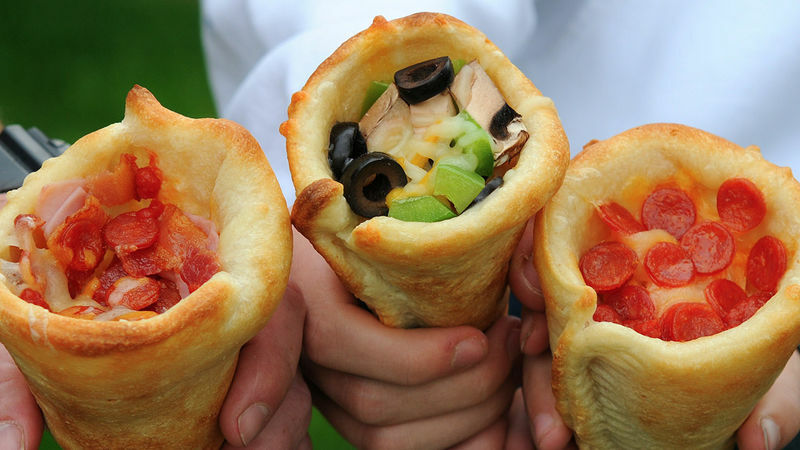 Yay for Pizza Cones! What they loved most is loading whatever toppings they wanted into them. I just made the cones with Pillsbury™ pizza crust, laid out the ingredients, and we had ourselves a little pizza cone party. You will need to purchase a Pizza Cone Set (or two). The set makes two cones at a time. To make more than just two at a time, you will need to buy more sets. I only have one set, so I had to make a few rounds of cones. 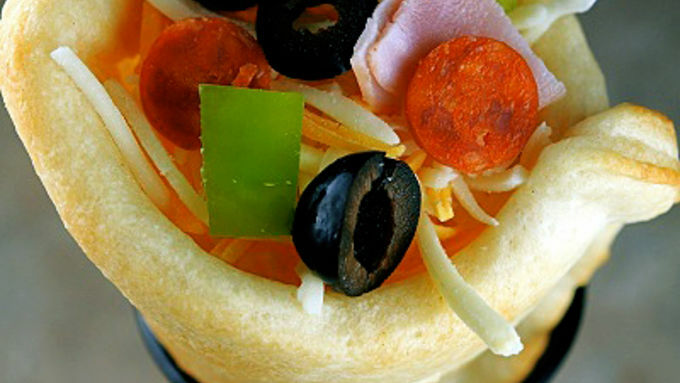 Party Favor Hint: Pizza cone sets would make a festive and awesome party favor. Have everyone come over, make pizza cones, and then send a pizza cone set home with them.